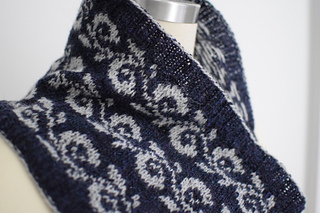 Enwreathed Cowl is part of The Sweater with Kathleen Dames, Season Four. 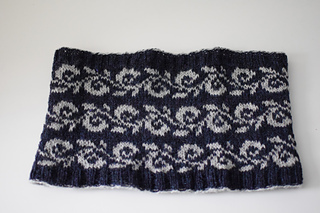 You can knit along on the cowl and pullover with me over the course of 12 weeks on YouTube (video) or iTunes (audio). Be sure to sign up for the newsletter and never miss an episode. To get the cowl pattern for free, place Enwreathed Pullover and Enwreathed Cowl in your cart - the discount happens automatically at checkout. Enjoy $2 off either pattern through March 15th (no coupon necessary - just place pattern in cart). Looking to try colorwork or just love that flowering vine as much as I do? 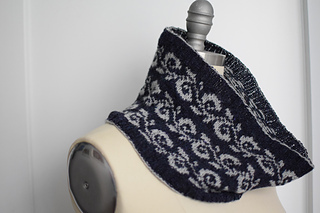 The Enwreathed Cowl is the perfect project for both. 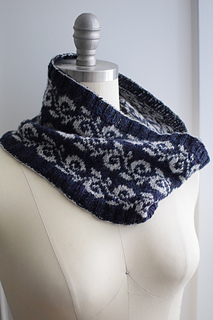 Because knitting the cowl to an exact size isn’t necessary, this will give you a chance to try colorwork in a relaxed situation (I find I knit more tightly on small circumferences). Plus you get to work this pretty pattern. It’s a win/win.